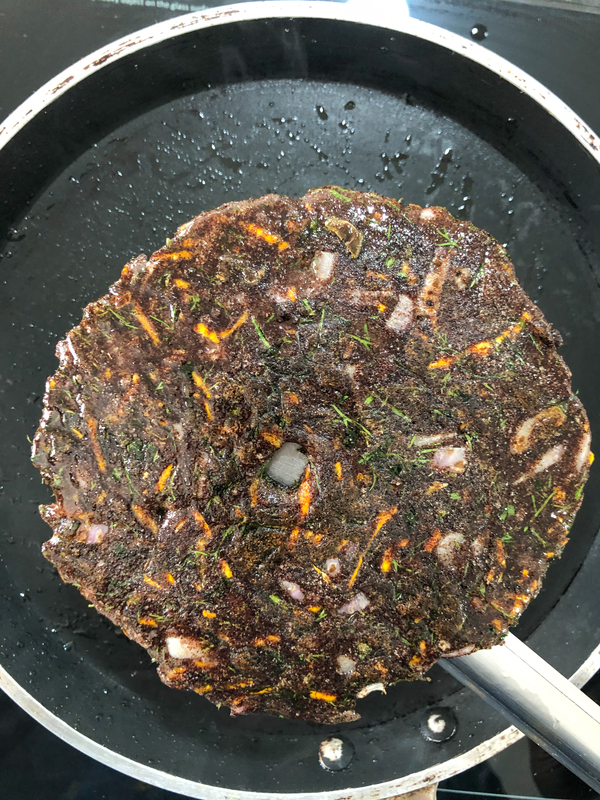 A healthy and tasty diabetic friendly Ragi Masala Roti Recipe made with ragi flour, grated carrots, onions, dill and coriander leaves. These tasty Ragi Masala Roti can be served for lunch or dinner along with a gravy or a chutney. 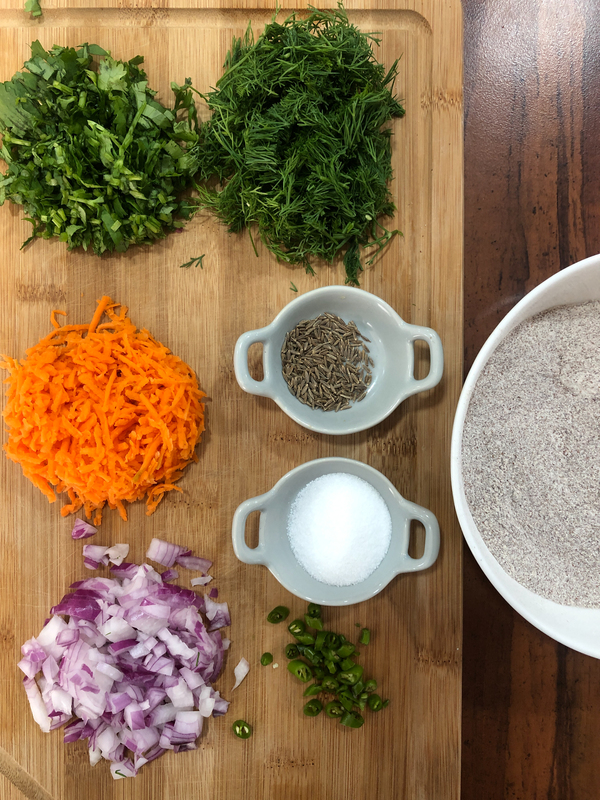 Ragi Masala Roti Recipe is a diabetic friendly recipe made using ragi flour and carrots, dill leaves, coriander leaves, onions and green chilies. 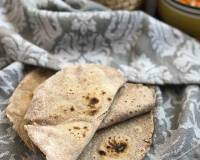 Mostly popular in South India these ragi rotis can be had for breakfast lunch or dinner with a simple chutney or gravy. Did you know: Ragi is rich in calcium, helps in weight loss, has a high fiber content, battles anemia, reduces blood cholesterol and also regulates blood sugar levels. Because of its low glycemic index, it helps reduce food cravings and slows down absorption of starch, thus helps in regulating the blood sugar for diabetic. 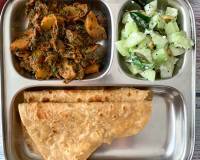 Serve Ragi Masala Roti Recipe with Hurali Saaru, Keerai Masiyal and Methi Raita Flavoured With Garlic for a diabetic friendly meal. Step 1: Prep and keep all the ingredients. 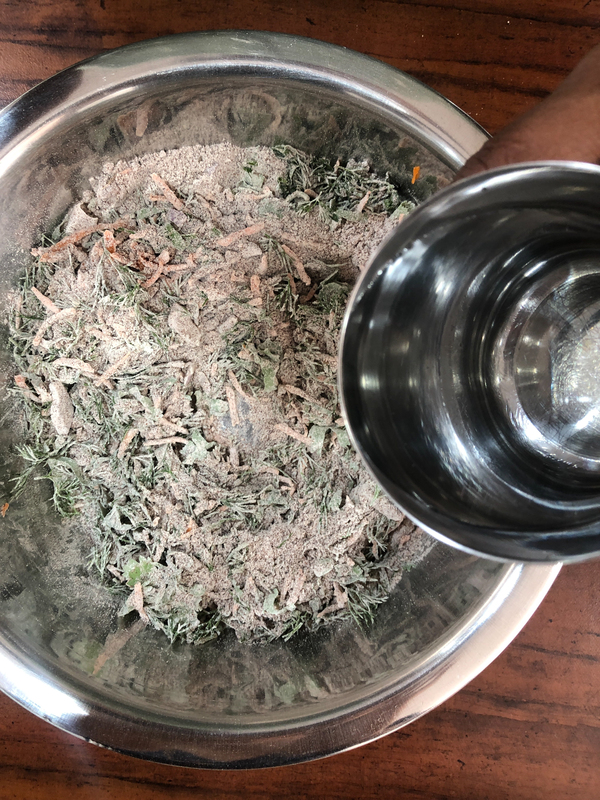 Step 2: In a large mixing bowl add all the ingredients, ragi flour, onions, chopped green chillies, dill leaves, coriander leaves, grated carrots and salt and then mix everything together. Step 3: Now add water little at a time to form a soft dough. Step 4: Keep kneading for five minutes till the texture of the dough changes and becomes softer. Bring it all together and cover and keep aside for 15 minutes. Step 5: Wet a muslin cloth and keep it on a flat surface. Step 6: Take a ragi dough ball and place it on the center of the cloth. 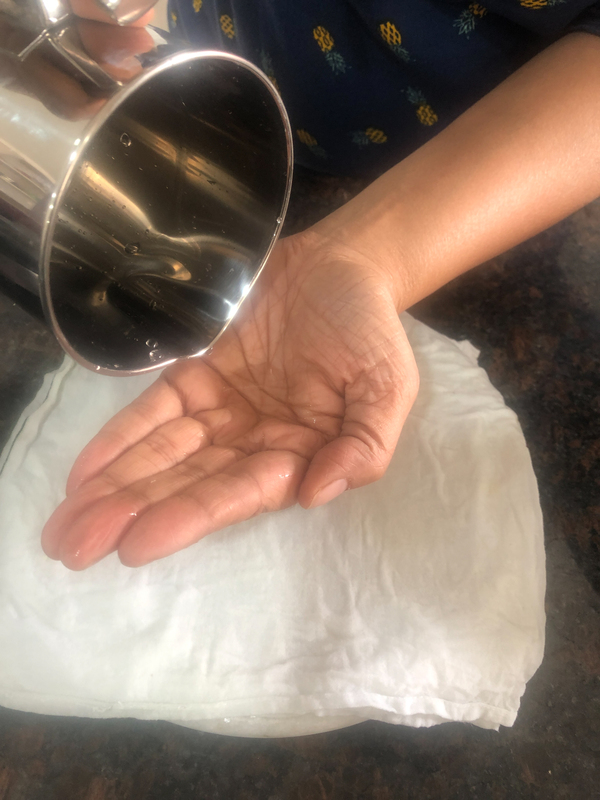 Step 7: Pat down the ball with wet fingers and flatten the ragi dough into a thin circular roti. 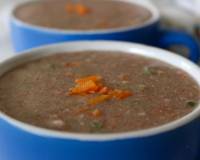 Make a hole in the center of the ragi roti to help it cook better. 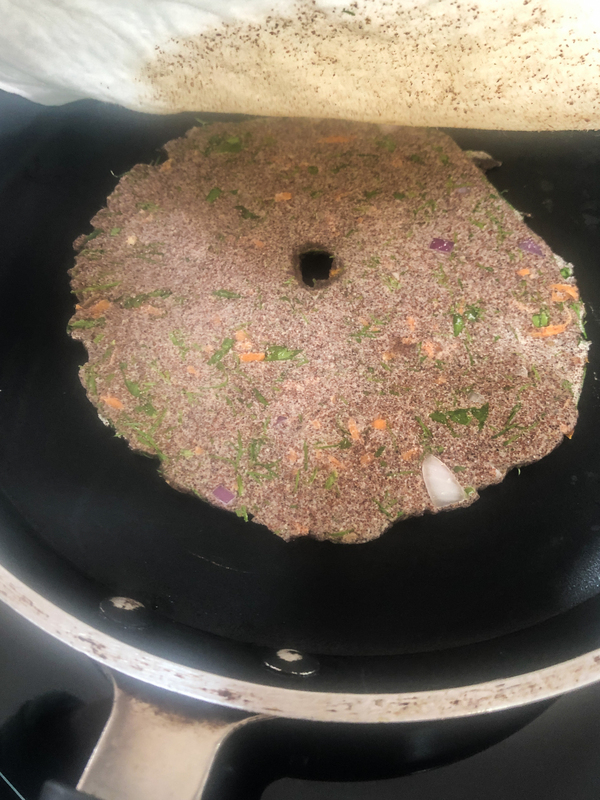 Step 8: Place the ragi roti on a heated iron skillet and cook for a few seconds on one side and turn over gently with a flat spatula to the other side. 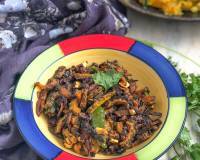 Step 9: Drizzle ghee or oil and cook till the ragi roti turns dark in colour and is cooked through. This will take about three minutes. 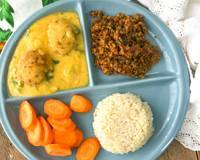 To begin making Ragi Masala Roti Recipe prep all the ingredients required. 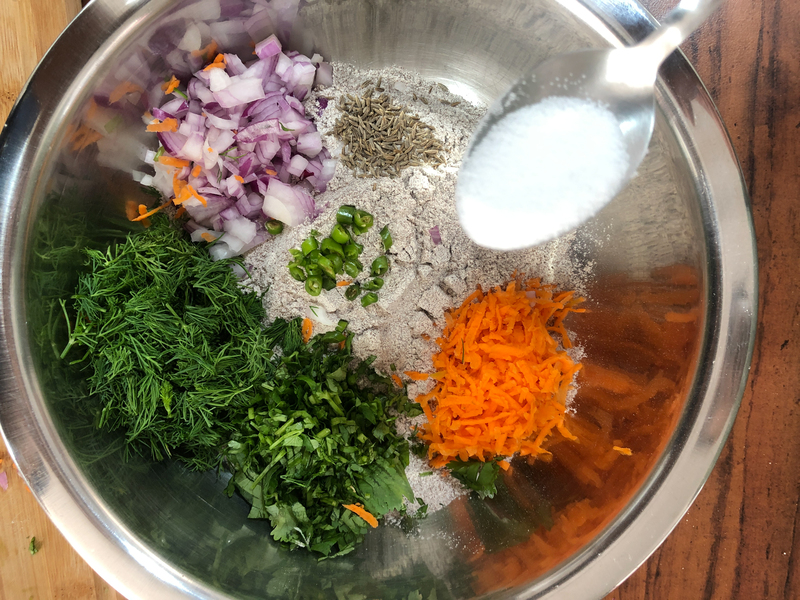 In a large mixing bowl add all the ingredients, ragi flour, onions, chopped green chillies, dill leaves, coriander leaves, grated carrots and salt,and then mix everything together. 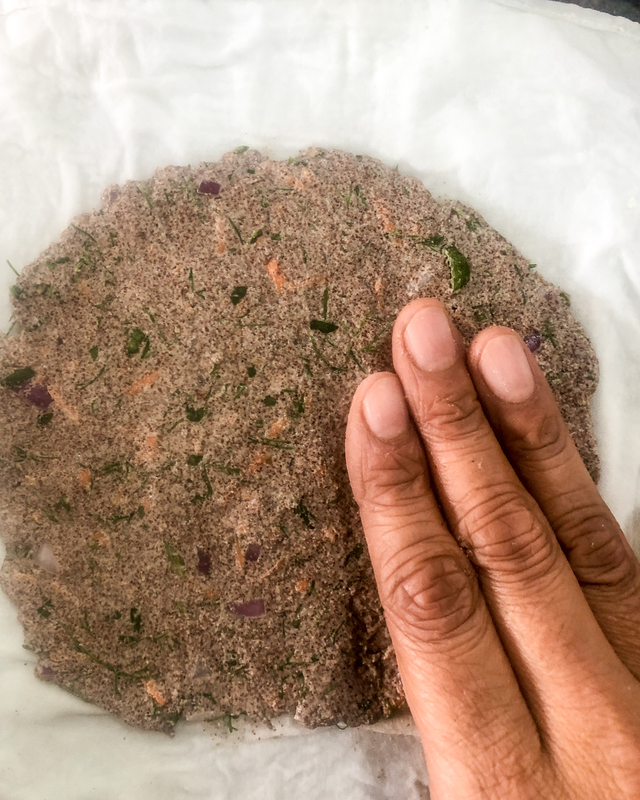 Add water little at a time to form a soft Ragi Masala Roti dough. Keep kneading for five minutes till the texture of the dough changes and becomes softer. 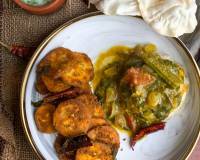 Bring it all together and cover the Ragi Masala Roti dough and keep aside for 15 minutes. 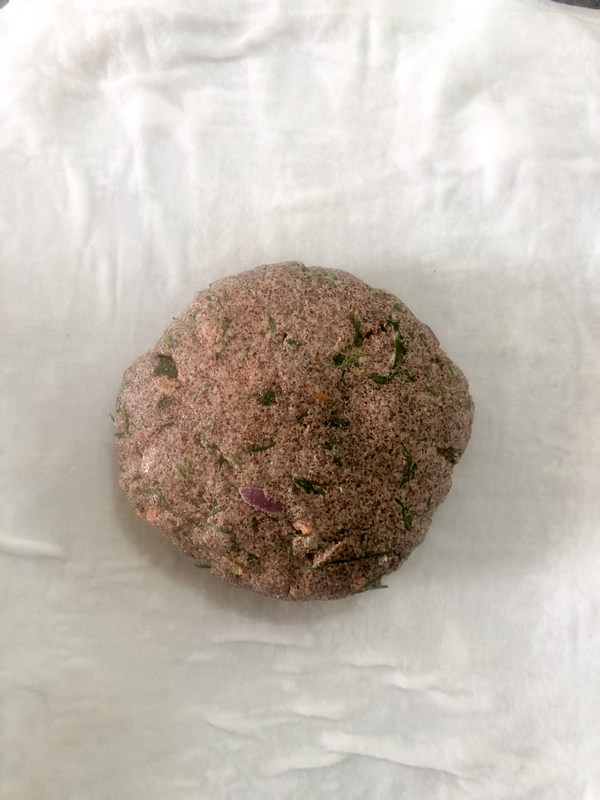 Take a Ragi Masala Roti dough ball and place it on the center of a wet muslin cloth. Using wet flatten the ball with your palms. 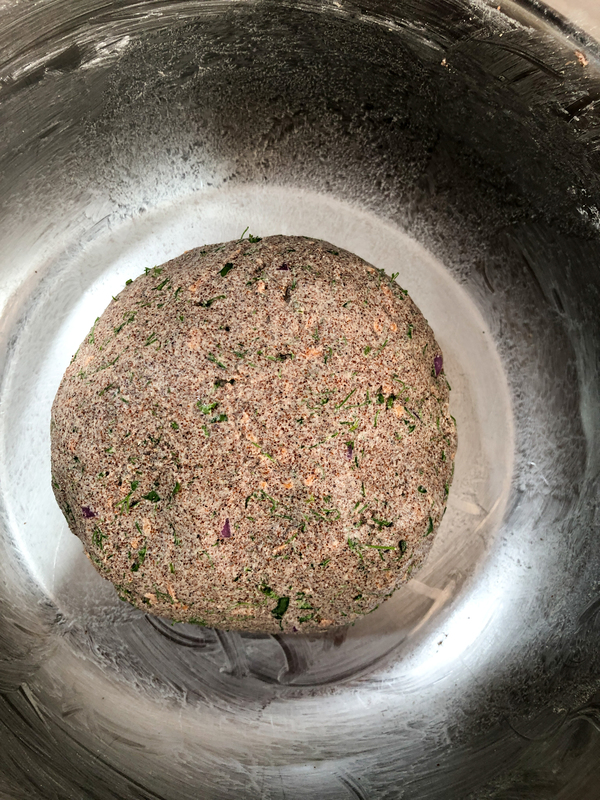 Continue pressing the dough until the Ragi Masala Roti has attained a round shape. 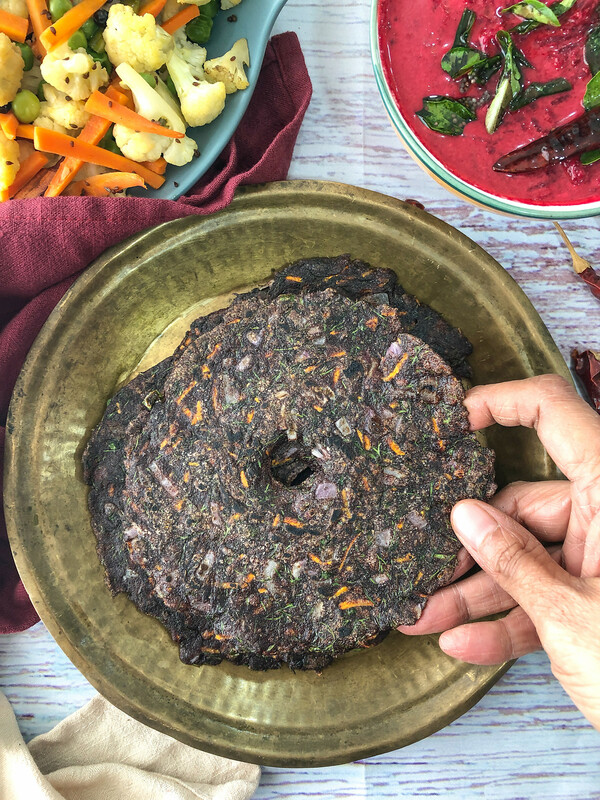 Place the Ragi Masala Roti by inverting the cloth on a heated iron skillet and cook on one side and turn over gently with a flat spatula to the other side. 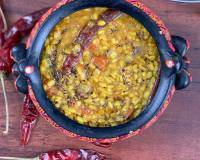 Drizzle ghee and cook the Ragi Masala Roti on both sides until it is lightly browned with golden spots and crisp.